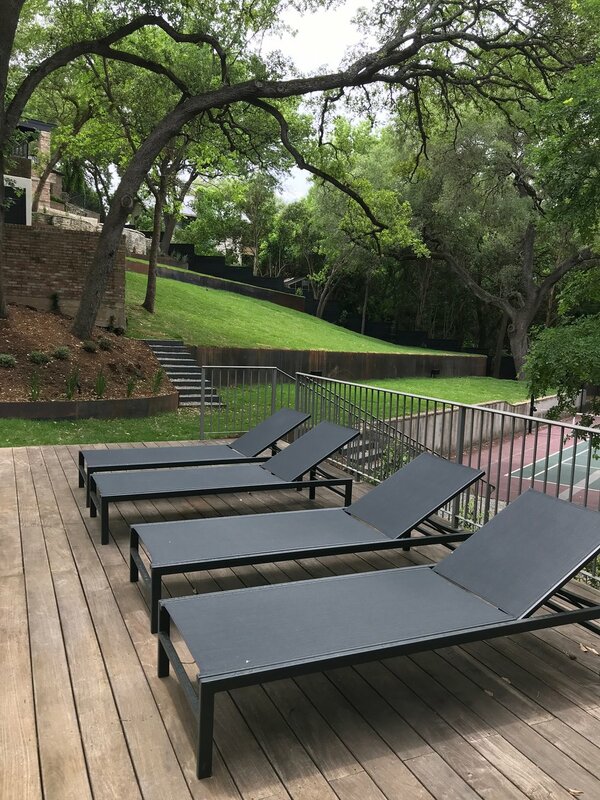 Terra Dura Landscapes is a company founded on the principles of restoring our place, Austin, Texas – just as much as creating an aesthetically pleasing landscape for our clients. We work with nature to foster beautiful, inviting, and useful surroundings. Before you ever break ground, let us help design your space to fit in with your needs and our native ecology. Our designs will allow you to do the project right the first time. Steel, Xeriscapes, Fences, Masonry, Patios, Landscape lighting. Our installation team are capable of most outdoor projects. Explore our service list to learn more. Terra Dura offers customized maintenance packages to maintain Xeriscaped beds and automate the rest. We focus on the gardening while robotic mowers address the grass to promote ecological and technological solutions for our clients. IPE wood steel, and Lueder counter top. Pool surrounded by Palisades Zoysia and Japanese Yews. Board form concrete bench and lueder patio. Steel beds on side. Raised steel beds and plantings installed at the new Kendra Scott Flagship store. Raised Limestone patio overlooking newly installed lawn. 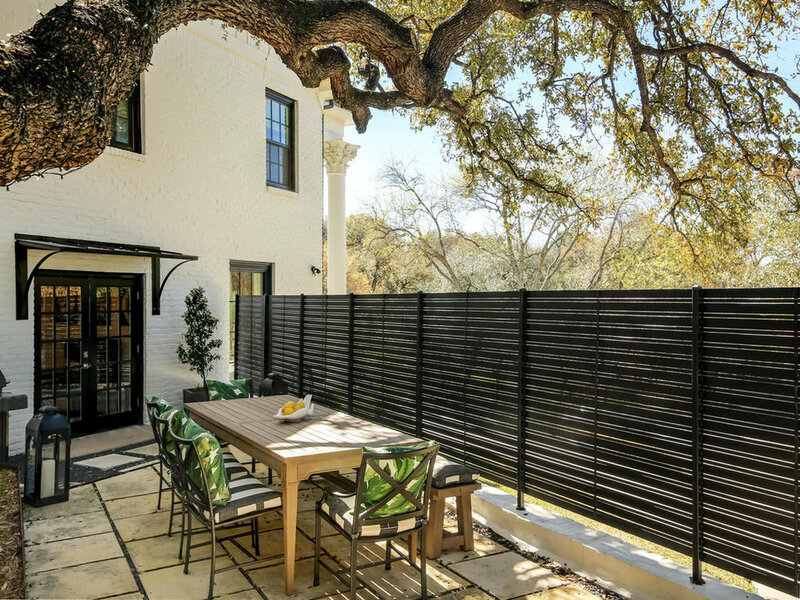 Steel retaining walls in Tarrytown, Austin, TX. Grassy Knoll and steel walls. Converted this hillside into a grassy oasis. Sawed limestone patio set in Basalt rock. Handcrafted custom firepit with log storage. Lueder steps, IPE step and shower wall. Steel walls, native plants, and Zoysia. Raised steel planter. Rollingwood, TX. Custom built steel fence. Limestone patio. Steel retaining wall and steps. 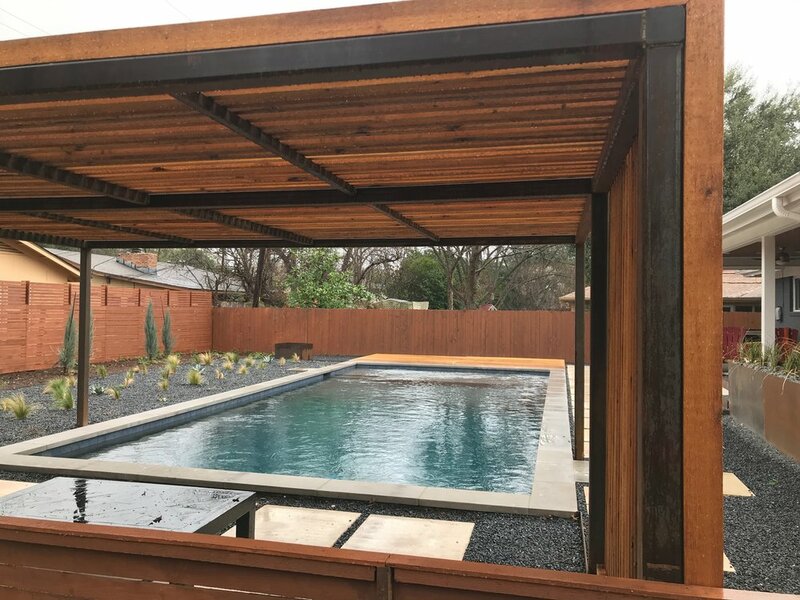 Pool Area with cedar shade structure. 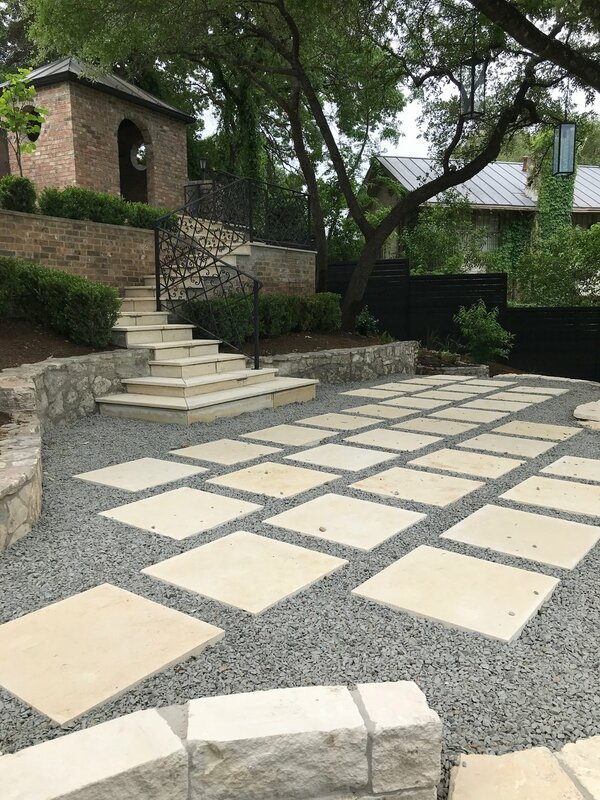 Limestone sawed patio surrounded by basalt gravel. Raised steel beds in the back with clumping bamboo. Custom steel firepit made of IPE wood and raw steel. Set in a new landscape. Newly installed Palisades Zoysia and native plant bed. Steel retaining walls. Decomposed granite beds, River rock accents. New xeriscape which includes steel retaining walls and steps. Raised garden beds on patio. 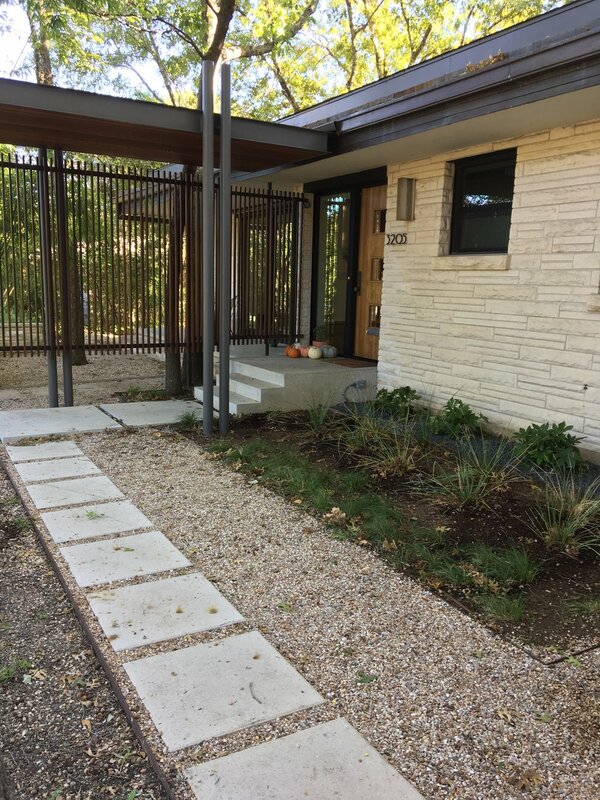 Xeriscape and small front yard deck installed in South Austin. Traditional Outdoor Kitchen with built in fridge, grill, and lighting. Large granite gravel with small planting beds along fence. Palisades Zoysia is considered a better turf grass alternative to St Augustine for lower water consumption. Look how great this filled in. Custom landscape lighting at the new Kendra Scott Flagship store. Limestone patio stone with basalt gravel. Steel firepit trimmed with IPE. Basalt gravel, Arizona gravel, and steel. Decomposed granite beds with steel retaining walls. Moss boulder accents. Steel Firepit with log storage and IPE trim. Xeriscaped backyard with new steel boxes, trellises, and patio space. Limestone path running through turf and river rock. Pecan shell mulch islands. Cedar on untreated square steel tubing. Carolina Jasmine growing. Installed steel walls to create manageable slope. 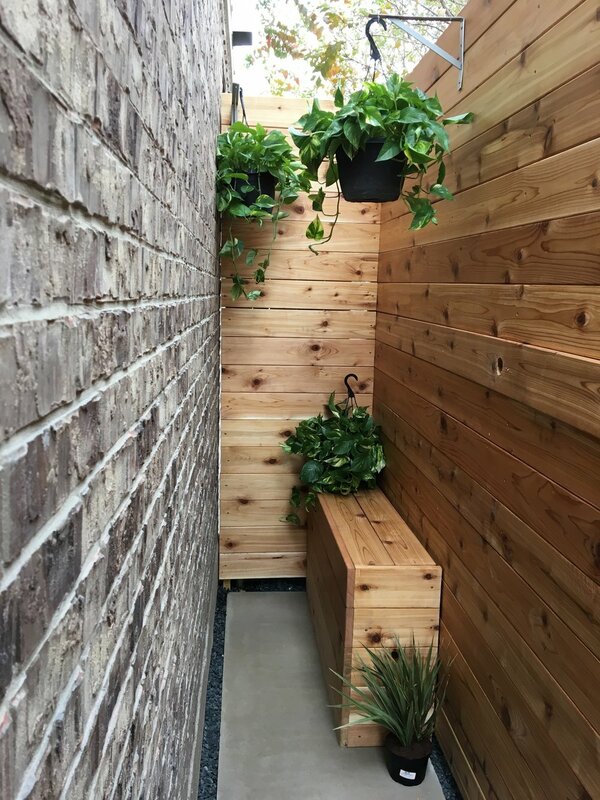 Raised patio and steel planter. IPE wood outdoor kitchen. Steel retaining wall across front of yard. 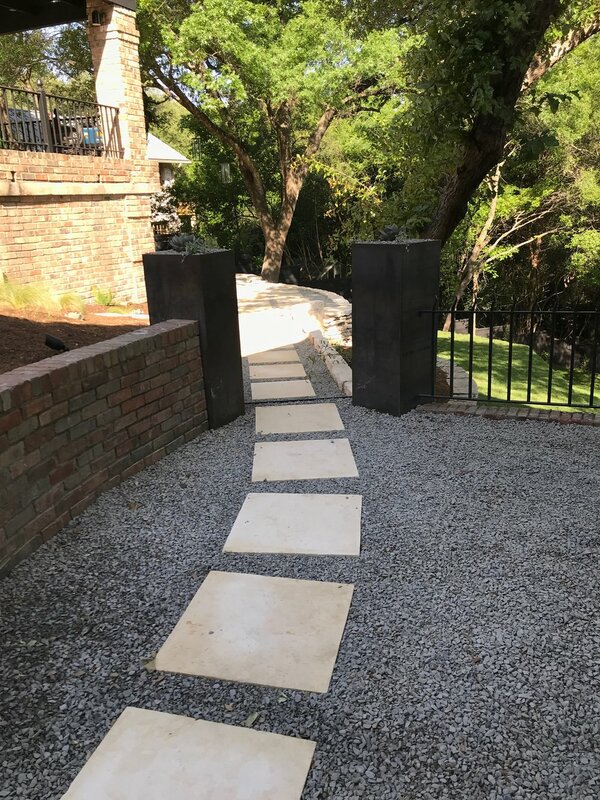 Limestone pathway and raised steel bed. Large patio with mexican patio and basalt stone. 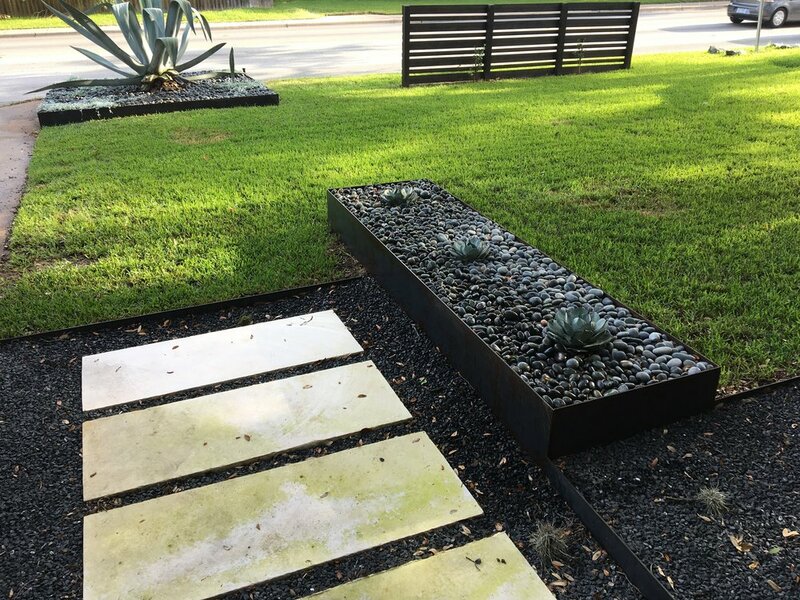 Dwarf Agave, Mexican Moon Pebble, raised steel beds. Custom built mortared stone fire pit. Native limestone borders and walkway. Terra Dura Landscapes LLC was founded to spread the good news of Texas native plants and the principles of Xeriscaping. We help our clients bring ecological solutions with high aesthetic value to common landscape design issues.